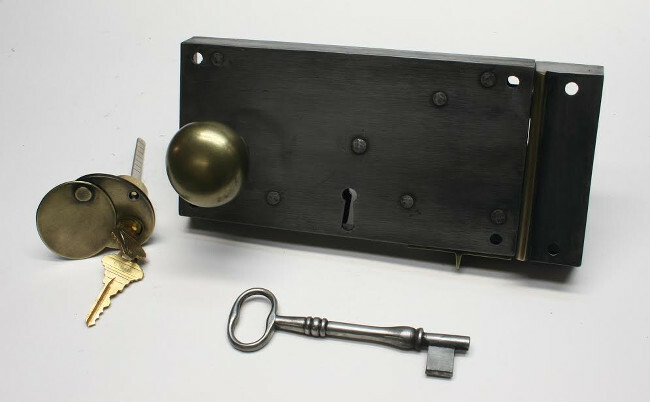 Rim Locks, Also Referred to as Box Locks by the older Generation are sold in Brass or Iron. Rim Locks are easy to mount to a Door. No large Mortise that weakens the door is needed to install a Rim Lock. 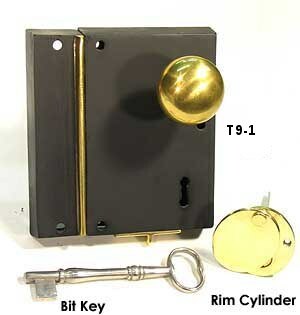 Dead Bolt functions include Removable Bit Key, and Thumbslide inside, Rim Cylinder outside. Please Specify left or right hand when ordering. Sold standard with 1 ¾’’ knobs. For 6’’ and 8’’ locks, 2’’ knobs for 10’’ and 12’’. Rim cylinders sold separately. Above lock is shown with wax finish and the rivets are exposed. Vertical Locks are Recommended for doors with narrow styles. 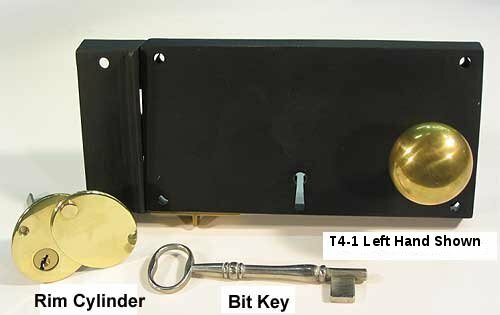 Dead Bolt functions include Removable Bit Key, and Thumbslide inside, Rim Cylinder outside. Please Specify left or right hand went ordering. Sold with 1 ¾’’ standard. Rim cylinders sold separately.